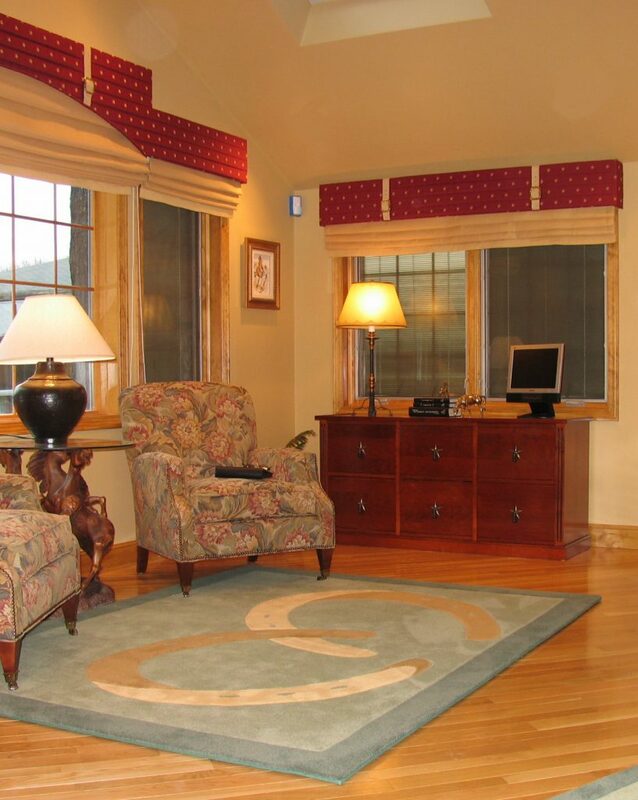 Equestrian Interior Design - Boston Design and Interiors, Inc. 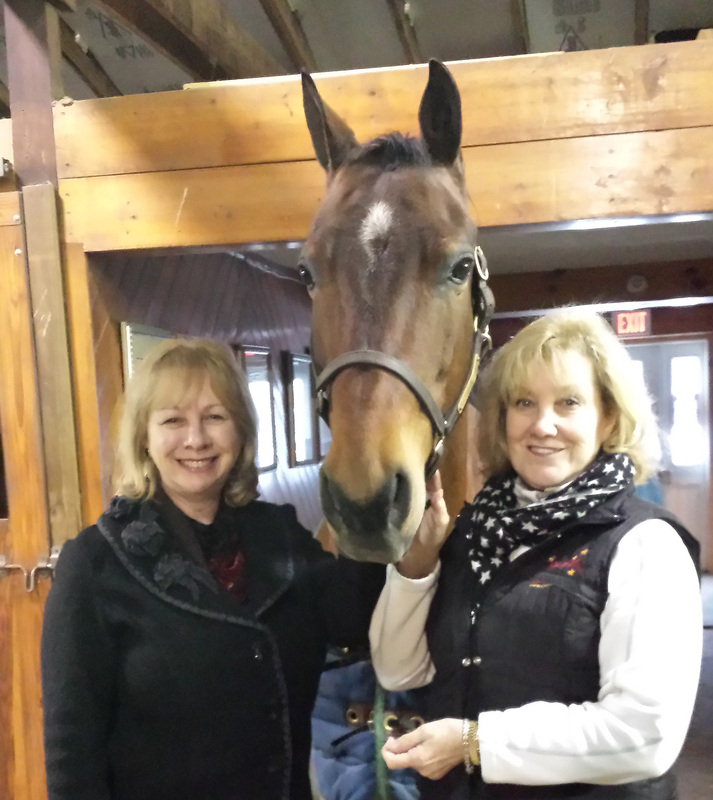 It was wonderful to see my client Chris Cassenti, owner of Chrislar Farm recently during her break between horse shows. She is well known to many equestrians who raise and show Morgan horses throughout the country. 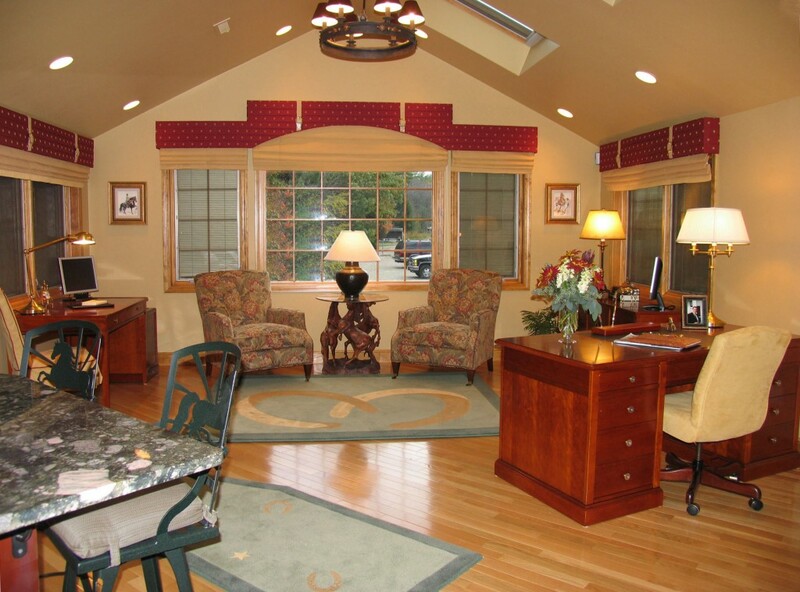 Chrislar Farm Stable of the Stars boards 43 horses and when it came time to design her office with an equestrian style interior she called upon us. Throughout the design I wanted to be sure to reflect her passion for what she does and incorporate her many equine objects d’art that she collected over the years. The aim of the interior renovation of her home was to open up the kitchen and connect a newly added space with a vaulted ceiling that would look out to trails and stables on three sides. The newly created multifunctional office needed to have more than adequate work space- it needed to be roomy, comfortable and inviting enough to close horse deals , accommodate a floor plan that would allow an over sized desk to float in the room and give Chris the ability to see activity on the pastures and stables at a glance, provide easily accessible storage, and be well lit with task lighting that complemented the equestrian style. 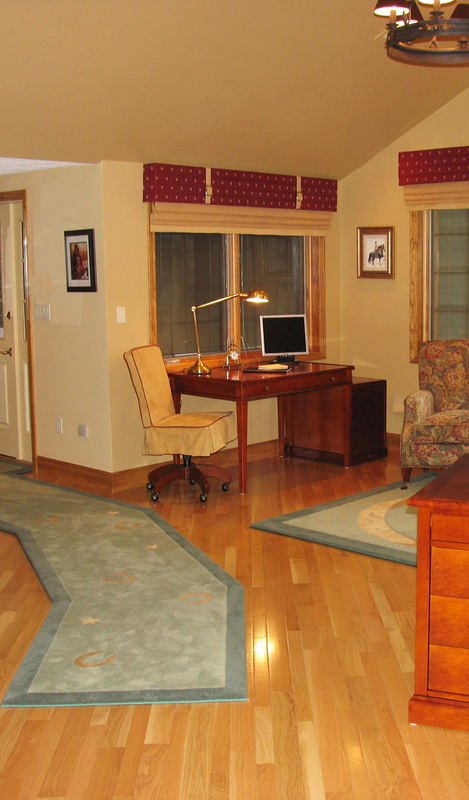 Chrislar Farms’ Office designed by Donna Terry of Boston Design and Interiors, Inc.
Furniture requirements for this equestrian styled workspace entailed finding the right pieces that were both beautiful and functional and would withstand the test of time. 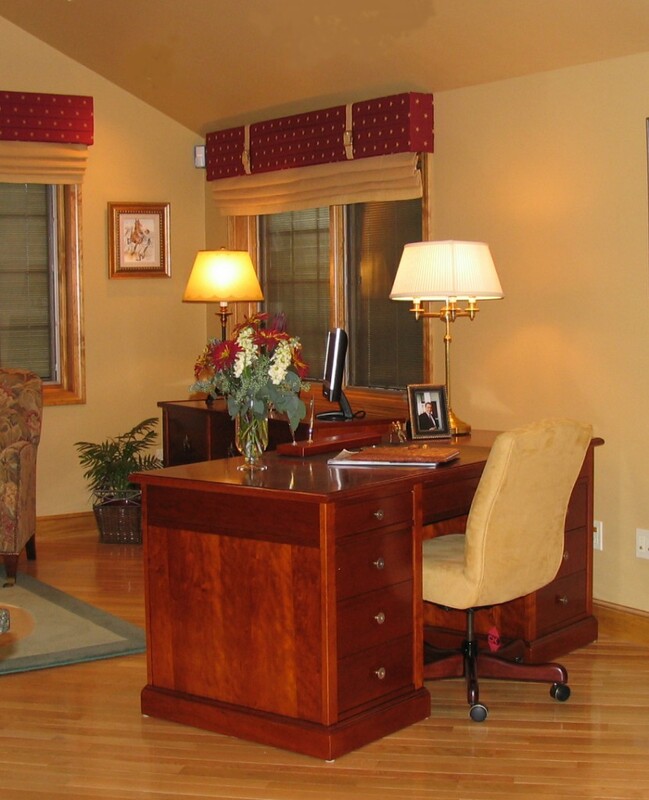 Chris wanted a large desk with lots of storage, a computer work station for her assistant, a large lateral file cabinet, and a typewriter stand. To fulfill this request, we customized pieces made by hand in France by Grange. They were made of cherry and stained, lacquered, waxed and polished by hand to impart an old world feel that one associates with horses. Photo- Boston Design and Interiors, Inc.
For the soft furnishings, comfortable chairs have casters and were upholstered in a durable woven textile by Kravet with a tapestry motif and outlined with antique brass nail head trim. The office chairs were upholstered in a high performance ultrasuede which is stain and abrasion resistant. Photo-Boston Design and Interiors, Inc.
Chrislar Farm’s slogan is Stable of the Stars and it drove much of the conceptual design for the space especially the custom window treatments and custom area rugs. 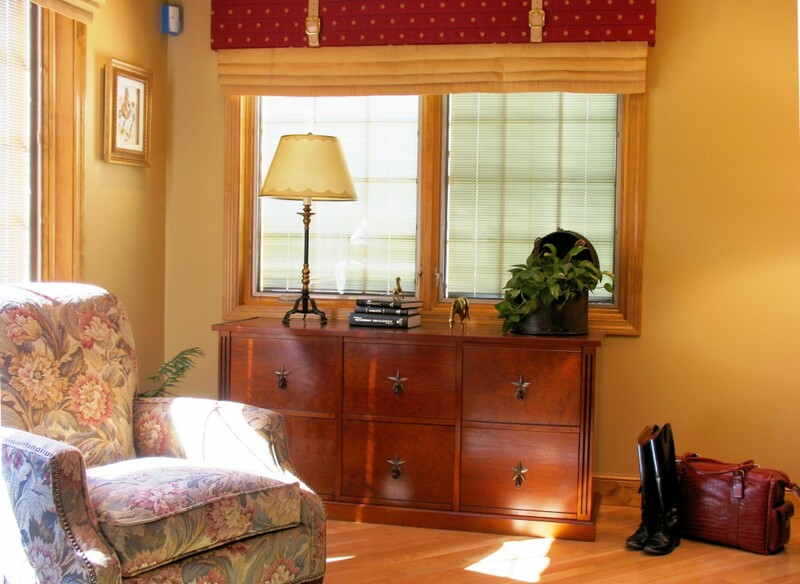 In this project, the window treatments were designed to not only add beauty and warmth to the space but also to coexist well with the client’s specification to use shades encased between the panes of glass and keep fabric off the floor to mitigate the dust and horse hair brought in from the stables. 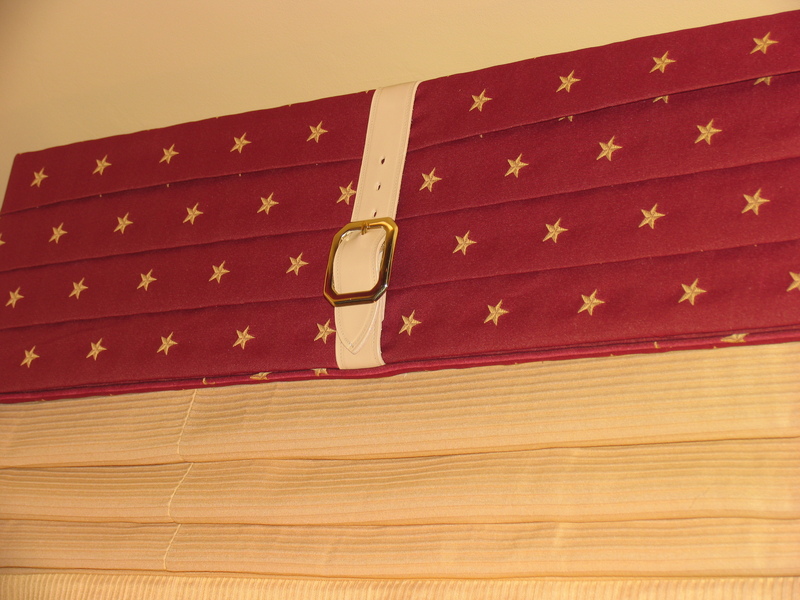 The star motif fabric had just the right scale for the design of the window cornices and, to provide greater depth to the stars, the fabric was applied in folds rather than it being flat. 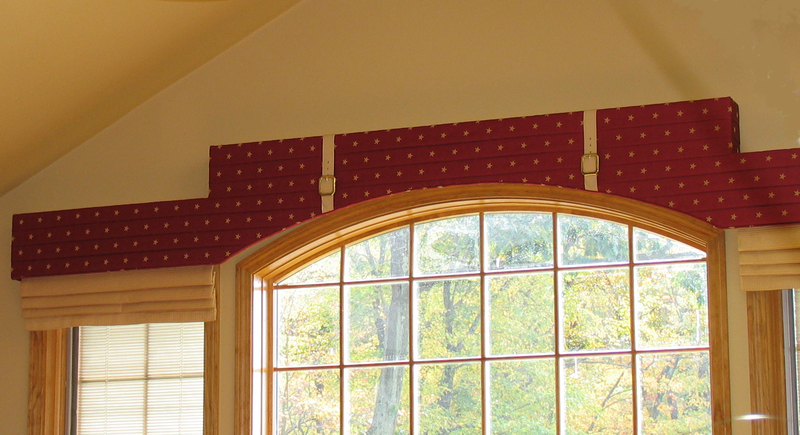 The cornices are flanked by harness belts custom made by LaSalle Harness Co. and were dyed to match the fabric on the hobbled roman shades which are mounted below. Technical considerations called for the window cornice over the large picture window to be given a curved lower edge to match the radius of the of the arched window and visually raise its height in the gable end from the inside without obstructing the arch of the window from the exterior. All of the roman shades under the cornices are stationery except for one working roman shade to provide light control and privacy over the picture window as needed. As a part of the project, three custom carpets were designed, strewn with horseshoes and stars. Working off of the coloring of the granite that Chris chose for the kitchen, shades of blue-green were used for the field and border and tones of golden yellow and tan were chosen for the horseshoes and stars. One long runner was fabricated using angles to visually provide a transition between the kitchen island and the work space. Photo-Boston Design and Interiors ,Inc.
Another smaller carpet was made with horseshoes rounding out the corners in front of a built-in unit for lots of paperwork. In my design meetings with Chris and her husband Larry, their deep, abiding concern for one another’s happiness and their affection for one another inspired me to design the last area rug in front of the conversation area with two interlocking horseshoes, which upon second glance, form the shape of a heart that would reflect their affection for one another and their love of horses. 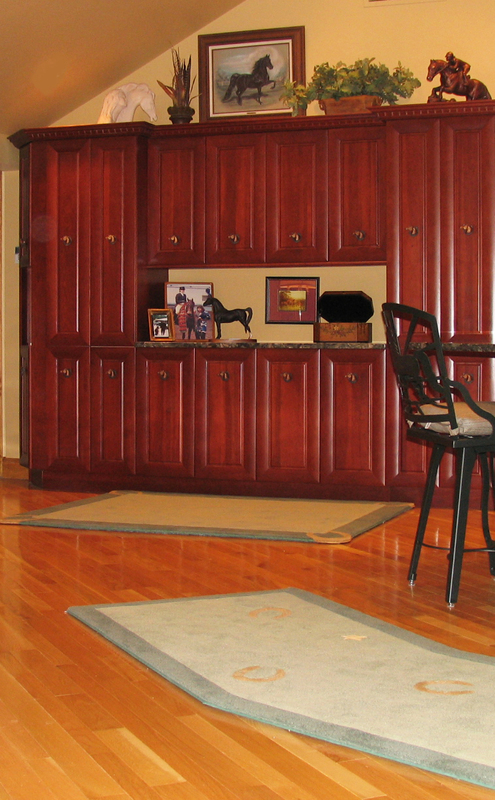 If you love horses… let us help you with the interior design of your home or stable.